EARL (Enhanced Automated Robotic Launcher) is a robot bowler who is able to roll a strike every time. EARL is more accurate and more consistent than any human bowler. In a one game match at the International Training and Research Center on the International Bowling Campus, the bowling robot will go head-to-head against Professional Bowlers Association superstar and USBC spokesperson Chris Barnes. 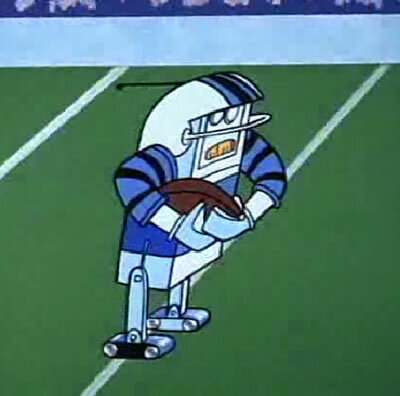 I'll bet there's an example of a robot athlete somewhere, but I still think about the robotic football players in the 1960 series The Jetsons. From Bowling Digital via CNET.